It’s been quiet here because of winter weather and a new job keeping me down on the ground. I’m finally getting a week off at the beginning of February and hoping to get up once or twice. It’s been too long. Ideally, I want to go refresh landings with my CFI and maybe a bit of spin training?! Also a trip with a friend. We’ll see how the weather likes me. I’ve been thinking about aviation a lot lately. Maybe because I haven’t been able to get up, or just because I like it? I’ve also been studying to take the Dispatcher written test, lots of new things and complicated things to understand. I have to study the ATP test prep because it’s practically the same test. I’m an avgeek and like to learn about all thing aviation, but for a dispatcher, it is kind of unnecessary to learn some of the ATP test. I’ll do it and enjoy it though. I wanted to give myself a bit of a break from that though. I also found out I’m not great at studying on the subway at 6:00am. Shocker, right? So I found myself reading some aviation fiction. 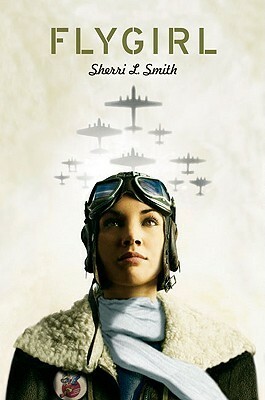 I picked up Flygirl by Sherri L. Smith. It’s a fictional story about a light-skinned black girl passing for white to join the WASPS. It was a pretty good read. At first, I was a little disappointed because I thought the writing would be more adult, but I soon forgot that once I got into the story. It did have some true-ish facts about the WASPs. It was true two WASPs Dora Doughtery and Dorothea Moorman flew the B-29 to get men to fly it — because if a woman can do it, so can you! But it wasn’t the dramatic experience as it was in the book. Now, I also gave the writing a lot of benefit of the doubt. Just because a lot of the terminology was wrong. Maybe it was different back then? I don’t know. I feel like the author maybe didn’t do enough research in that department. In the B-29 scene, for example, she used the word “stall” for an engine failure a few times, but switched between stall and failed engine. I know, I know, that’s the acceptable term, at least in automobiles, for an engine that quit, but I haven’t heard anyone use it in aviation in that way. It was things like that which bugged me, just ever so slightly. Anyway, that aside, good story and a quick read! I hope to go up sometime in February and will share that with you all. I’ve also moved onto another aviation book. I went to visit one of my best friends in Houston and then went to Vegas together as a belated birthday celebration for me, but she gave me two new aviation books for my birthday. Obviously, I was reading before the night was over. So I’m half way through “The Powder Puff Derby of 1929” which is amazing. It’s a true story, but told in an amazing way. I’m also finding out Amelia Earhart wasn’t all that, there are way cooler female aviators. I do still love Amelia Earhart. If you’re looking for some good aviation related fiction, with female pilots, definitely pick up “Code Name Verity”, and it’s companion book “Rose Under Fire”, by Elizabeth Wein. The author is a private pilot, and has done her research, and the writing and story is amazing. “Code Name Verity” will make you cry. I bawled my eyes out on the bus, and missed bus stops multiple times. The author has apologized to me. Oh cool, I’ll definitely check it out. My best friend bought me two books for my birthday on female aviators. “The Powder Puff Derby of 1929” and “Women Aviators” which are both on my list. Well, almost done with the first, it was so good. I highly recommend it as well. “West with the Night” is great, a woman aviator in Africa. All of those are non-fiction and the first and last are really about beginning pilots, which made them so much more enjoyable for me when I read them and had less than fifty hours. Thanks for the recommendations! West with the Night was mentioned in the Afterword of The Powder Puff Derby. Ernest Hemingway said she wrote circles around him! It definitely caught my attention as a book to read. I also want to read Night Witches about the Russian combat pilots.